Produced an award-winning video series for the UMASS Amherst Permaculture Program that led to a grant being awarded to UMASS Amherst from the Kendall Foundation – kendall.org in the amount of $480,000.00. The video series also helped the program gain recognition resulting in a First Place Award for the White House Champions of Change program. The award was presented to UMass from President Obama at the White House and was also featured on MTV. The video has also help lead to increased interest and enrollment. Read more here on the WhiteHouse.gov blog page. When UMass Amherst decided to launch its groundbreaking permaculture program, they came to Adaptive to help get the word out. We produced a series of short, documentary-style videos to promote this newly-developed program and its message of sustainability. The goal was not only to develop excitement in local communities but also create attention across the nation and abroad. In their first two weeks of release on YouTube, these videos received over 6,000 views. They have also been aired on the nationally-syndicated television show “Real Green” and shown at various events around the world. These videos have played a large role in positioning UMass Amherst as a leader in the use of “green thinking” and sustainability, creating a socially-conscious image, thereby attracting and enrolling a new demographic of students. The UMass Permaculture Program currently boasts three gardens on campus and is ever growing. Adaptive Media plans to be by their side along the way to make sure that these innovative programs and ideas reach as broad an audience as possible. “Working with Adaptive Media has been an easy, comfortable, low stress, and incredibly beneficial experience. This is a top notch organization that I would recommend to anyone who’s looking to build their business, brand name, or draw attention to their idea or story. 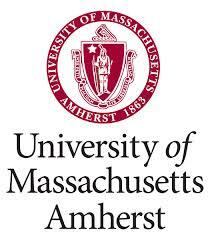 UMass Amherst hired Adaptive Media to do a series of promotional videos and in the first two weeks of their release, over 6,000 Youtube hits were recorded. We received e-mails from individuals all over the world who watched and then shared the brilliantly made videos with others. We appreciate all that Adaptive Media has done for us, specifically helping to us to create the brand name, UMass Permaculture which can now be found all over the internet. Our organization would not be where it is today without all of the great work that Adaptive Media did for us. We appreciate it more than words can say”. Drum Hill Ford has been a long-term proponent of the classic methods of advertising and promotion. Since the company opened its doors, newspaper was always the automatic choice for advertising. This was just about the only way the company was getting its name out until Adaptive helped Drum Hill move it into the 21st century. In order to excel Drum Hill needed to employ a broad mix of advertising and promotional techniques, including a strong presence on the web backed by innovative applications and celebrity testimonials. Over the past four years, Adaptive has used a mixed-media marketing approach for Drum Hill. We created high-level endorsements with celebrities (e.g., Red Sox Hall of Famer Carl Yastremsky, Patriot QB Scott Zolak, and Red Sox player Lou Merloni) in combination with radio and television personalities. In our first 90 days working together, Drum Hill Ford sold more cars than in the previous two years combined. Adaptive Media is now helping Drum Hill ensure that its business keep up with the new clients and attention that is being generated. We built a remote-access sales management database system that tracks information on current and potential clients, keeping an internal collection of information which may be accessed by sales staff as they search for appropriate inventory for specific customers. The database can also be used for e-commerce marketing. We also led the dealership into an interactive and personalized relationship with its clients through the use of new mobile marketing technology. Through a newly-created mobile app, consumers can search inventory, schedule service for their cars, access a “Cell-Your-Car” function that gives customers the most money for their trade-ins, and access “Dude, Where’s my Car”, a system which uses GPS technology to show exactly where their car is. The exposure generated by the new and innovative techniques that Adaptive implemented on behalf of Drum Hill has led them to be ranked the #1 Ford dealership in New England by Ford Motor Company. Ken’s has been around for over 70 years, which is an amazing story in itself. Although Ken’s has built a strong brand and a great name, as each decade passed it was seeing the same faces over and over. Its customer base was aging along with the restaurant. With several chains coming into the area over the years, Ken’s market share was declining as their age demographic was increasing. It was time for Ken’s to adapt into new media and new opportunities. By partnering Ken’s with radio personalities, creating a new website and mobile app, and putting together live events including hosts such as the New England Patriots’ Kevin Faulk and Cheerleaders, Ken’s has re-established itself with older customers and gained a whole crowd of new ones. Not only does it have a new demographic, but Ken’s has a new image. 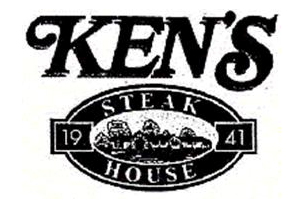 While big chains ebb and flow, Ken’s remains – and stays “a very famous restaurant”. “Adaptive Media has helped re-evolve Ken’s into a landmark that has been around for over 70 years. If you’re looking to work with a company with a low stress, trustworthy approach to building your business, then Adaptive is who you are looking for. They are always thinking, creating, developing, and moving with the times. Work with Adaptive if you are looking for a group of professionals who let you focus on your business while they focus on your advertising. You’ll be impressed”. Dr. Emma Wu is what we in the business call a “bloomer.” Before partnering with Adaptive Media, she had barely incorporated any advertising into her practice. She had done the traditional trade shows, limited Search Engine Optimization, and advertised in some magazines. In our initial meeting, it came to light that Dr. Wu had talents that few other dentists in the area had: she is one of the only dentists in New England who is able to do all phases of the dental implant procedure. Our strategic plan consisted of highlighting these unique skills and showing how “one-stop shopping” can save the customer both time and money. We partnered her with a local radio host, Margery Eagen, and produced three short videos for her website. The radio spots sent listeners to the website where the videos allowed the prospective customer to get to know Dr. Wu and become familiar with her work. Dr. Wu’s business has increased by an amazing 175% in our very first year of advertising together – hence being called a bloomer!